When it comes to wedding stationery, sometimes it is easier to buy than DIY. If you have been to the printables section of Love and Lavender, you may have noticed that slogan below a custom display from Minted.com. First, I want to explain why that slogan is there. Then let’s take an in-depth look and I will review the pros and cons of buying Minted wedding stationery. After working with Minted for my own wedding stationery, I realized that this is the type of company – great people and a wonderful selection of wedding invitations – that I want to create a lasting partnership. I really like their concept: “the world’s premier marketplace for independent design. Our mission is to find exceptional artists and designers all over the world and bring their work to consumers who appreciate great design.” Minted has so many talented graphic designers from all walks of life. You won’t come across the same invitation twice. 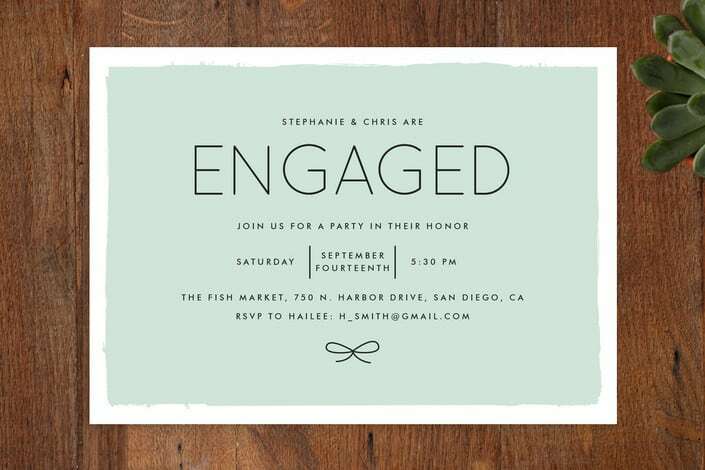 Minted is now the featured wedding stationer for Love and Lavender. For transparency sake, I want to let you know that I do earn a small commission (at no cost to you) if you click on an affiliate link. It is how I keep this blog running and how I am able to provide quality daily real weddings and articles. I greatly appreciate if you decide that buying stationery from Minted is the right choice for you, and you want to show your appreciation of Love and Lavender! When I ordered my save-the-dates, I didn’t take the time to explore all aspects of Minted. However, when I ordered my wedding invitations I made sure to delve into all of the features in order to report back to you! One of the most difficult parts of the wedding stationery process is actually finding the right invitation suite. There are so many invitation options that I could not possibly recommend just one. 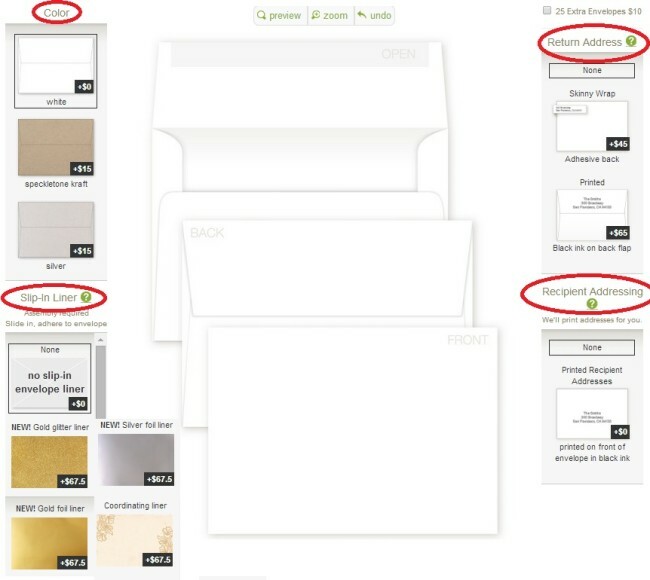 As you can see from the screenshot below, you can click on different navigation options in order to search by: printing type, format, special feature, price, style, color, season, and card shape. Prepare yourself: you have over 880 choices, which can be overwhelming for someone as indecisive as myself! Andrew and I are getting married at an early 1900 mansion in Vancouver, so we decided to go for a roaring twenties theme complete with a gold color scheme. 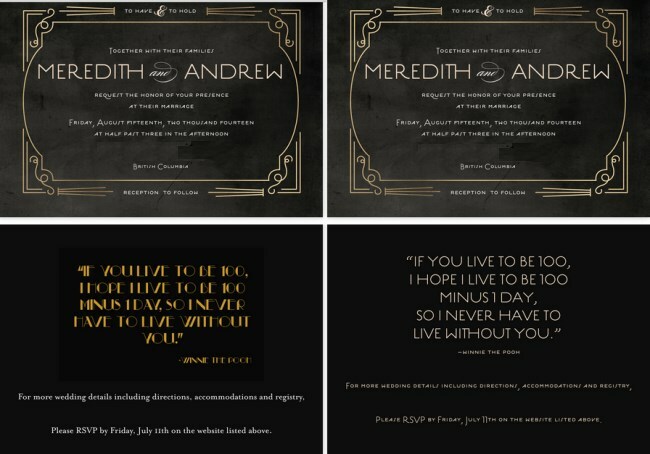 I am so pleased with our foxtrot frame wedding invitations: thick, foil-pressed, luxurious, and exudes 1920’s style. They are like a piece of art that I could mount on the wall. 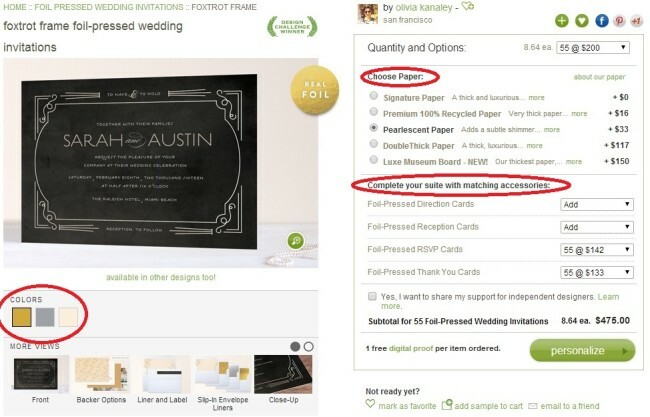 After you have chosen your wedding invitation, the next step is to choose a paper type. 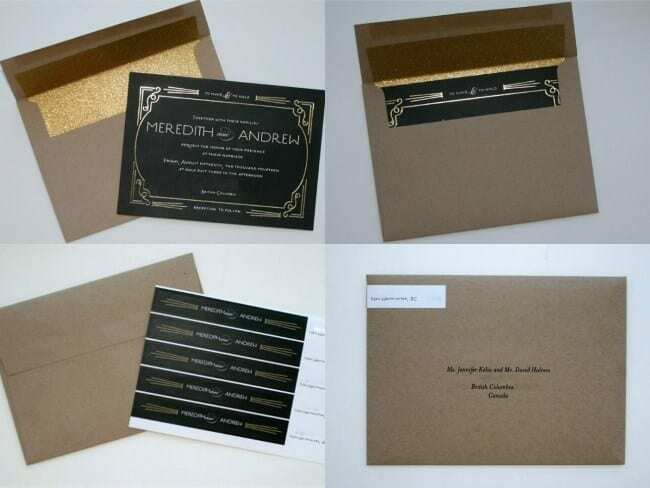 I ordered double thick paper for my invitations so that they would have a luxurious look and feel. Be careful with mailing weights because at 35 point thickness, one invite will be close to the 3.5 oz postal mailing weight. Fortunately, I did not include an RSVP card within the envelope because we have a wedding website for RSVP replies. If I had, the weight would have likely bumped me into the next postage category. Remember that the more you add to your invitations, the higher the overall price. 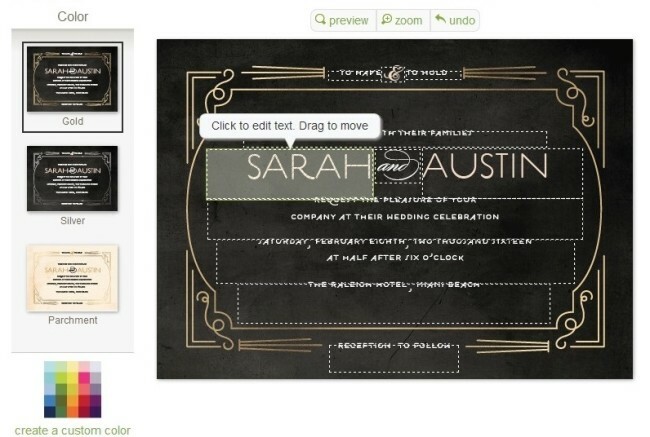 Foxtrot Frame invitation has the additional options of directional cards, reception cards, RSVP, and thank you cards. Also, you can choose one of three different colors. Note: For our save-the-dates, I ordered the pearlescent paper (12 point thickness) and it was no problem to mail. All text boxes are easily edible to include your personal information. If you make a mistake, simply click undo! You are able to justify the text using standard left, center, or right justify. You may drag text boxes with your mouse by simply clicking on the box and moving it to your desired spot. Tip: use the “nudge” function for smaller layout movements. This saved me a lot of time! You can select the font size to use for each text box. 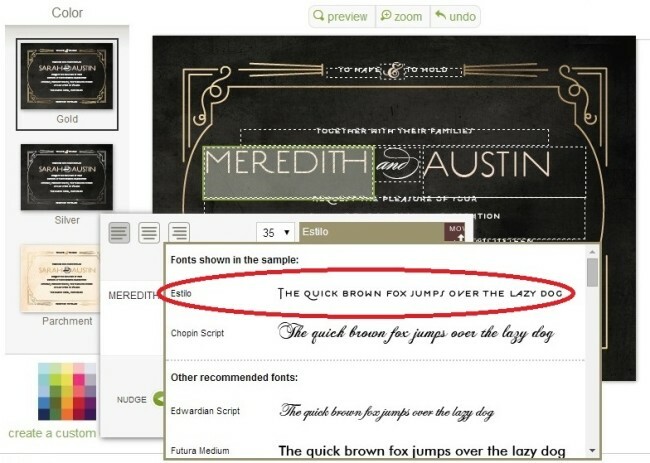 Font sizes range from 6-80 point. One thing that I did not like, was that I wasn’t able to have two different sized fonts in the same text box. It is not a deal breaker, but it would have been nice to have that option. 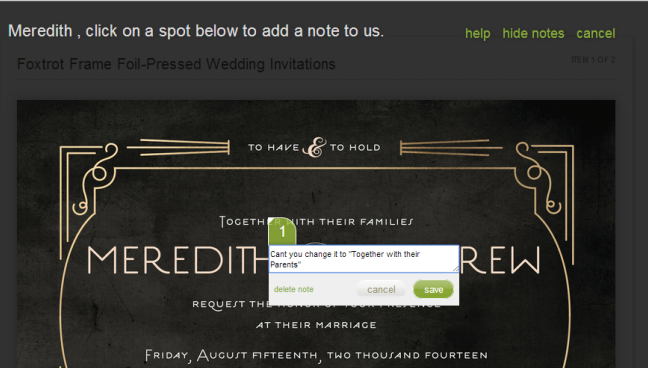 Perhaps Minted will add this feature in the future. This particular invitation has 4 font color choices. I like the option to sample a font in order to see what each one looks like before you choose. There are 31 different fonts to choose from. 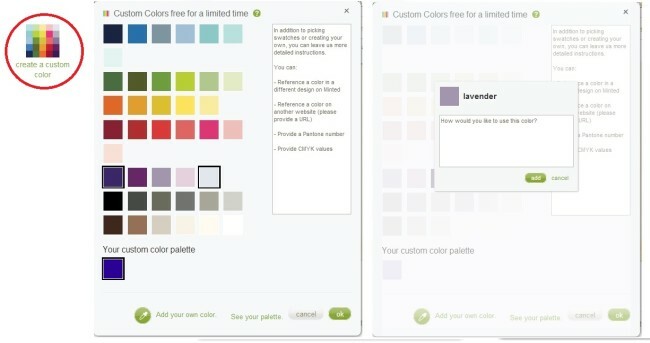 Finally, you are able to create a custom color. The font color will not show up while you are creating your invitation. 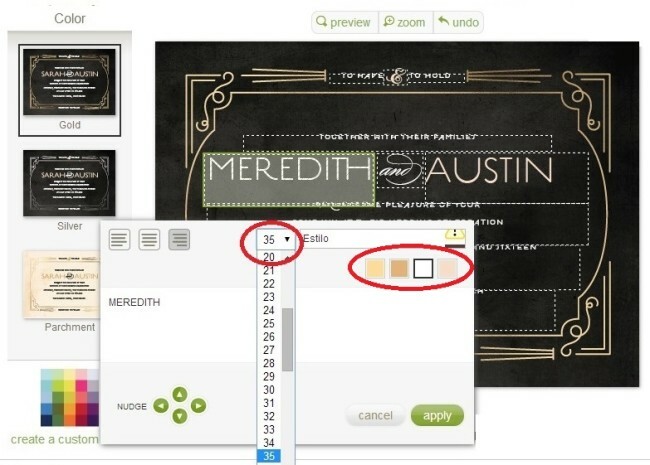 Not to worry, Minted assigns you a designer to work directly with you. I big positive in my opinion. The designer is able to incorporate the custom color in the proof that is emailed to you. There are four different options for the backside of the invitation. The background can be white, solid, pattern or full bleed (meaning picture from end-to-end). The Layout option (pictured above to the right) allows you to decide if you want anything on the back of the invitation. Layout options are extra, so be selective on whether or not this is important for you. Again, this is where things start to add up. I decided on a solid background with text for my invitation. Originally I selected photo caption because I wanted to insert a picture with a quote. Unfortunately, I could not match the font and color to the front of the invitation. At the time I wasn’t happy that I could not change the background color. 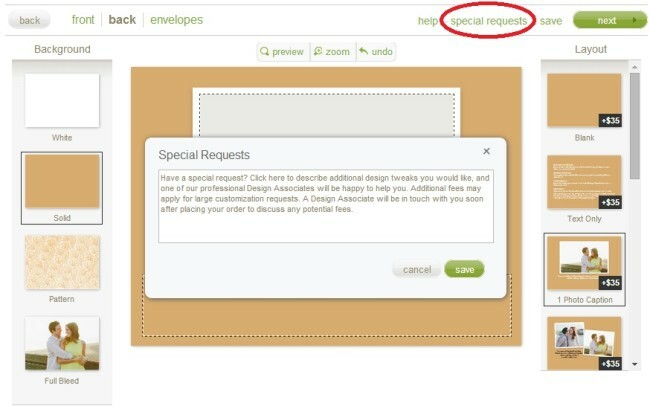 Unbeknownst to me, your designer is available to help you with any changes you would like to make by clicking the special requests button. 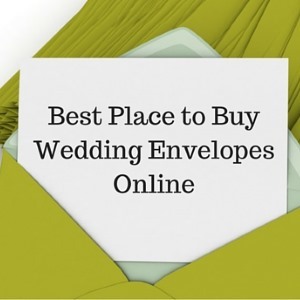 There are many different options for envelopes. Be mindful that if you want anything other than white, it is going to cost extra. 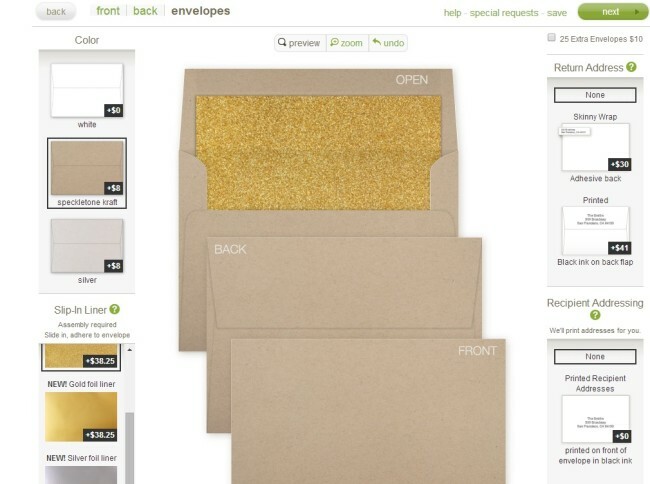 First choose your envelope color. Then, decide if you want a slip-in-liner. 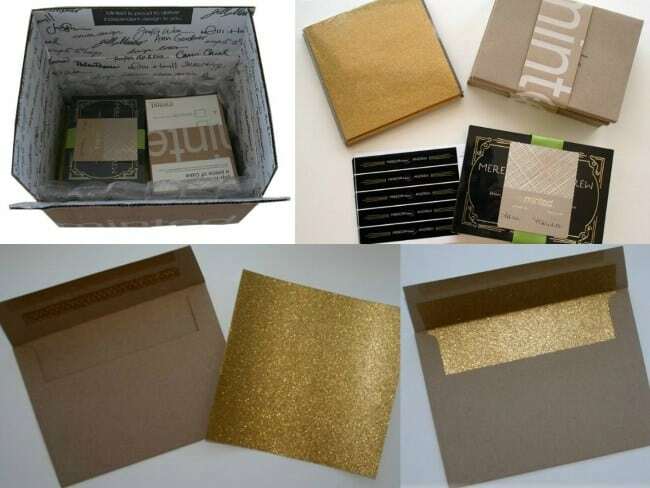 Your guests will never know what hit them when they open their invite – pure wedding invitation design punch! 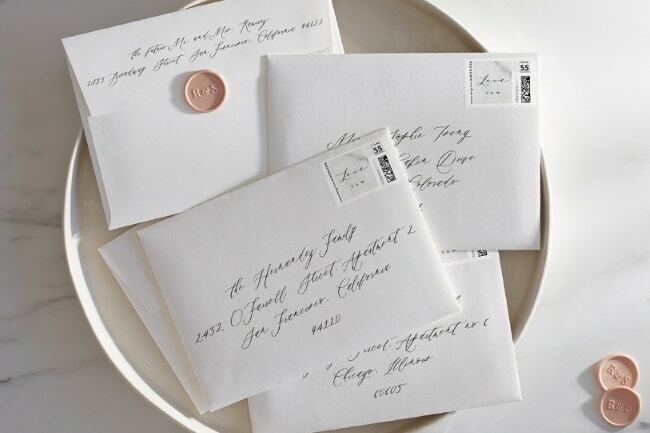 I love the look of these liners because they give the plain envelope pizzazz. Minted can make return address labels and FREE of change they will address your envelopes! Did I mention it was FREE! 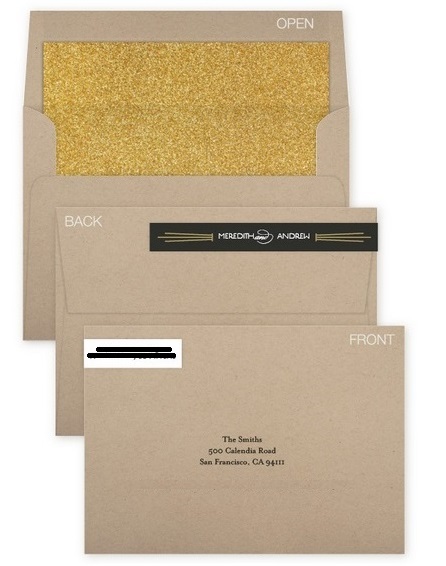 Slip Liner: I chose speckletone kraft envelopes and gold glitter slip-liners. Return Labels: I chose the skinny wrap rather than the option of having the address printed right on the envelope. That way I could further incorporate my theme on the envelope. One thing I wasn’t happy about was that I wasn’t able to move the “and” between our names. Although, looking back now I probably could have asked the designer to do this for me! I wanted to add a quote on the back, so I ended up making my own in Photoshop and uploading it to the invitation. As you can see in the example (below left), it looked pretty cheesy. I asked the designer using the special request field if they could make the background black. When I received my invitation proof I was amazed. The designer had not only given me back the cheesy looking invitation I had made in black, but also a second option – the same quote and text with the same font from the front. I was amazed at this level customer service. I felt like it was a much more personalized process working with the actual designer who tweaked my invitation the way I wanted. 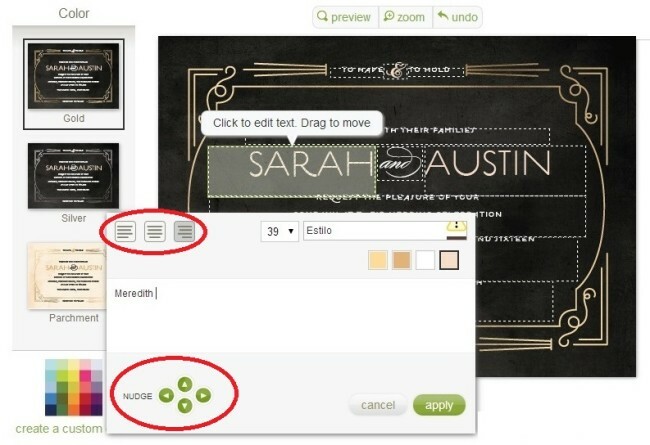 Make Additional Changes: If you need to make changes, you can click on the invitation and add notes for the designer. Specify the changes you would like to make. In the end I was happy with the second option and confirmed my order. Each portion of the invitation comes individually wrapped. Once you get the hang of “stuff, stuff, lick, peel and stick,” the time to put them all together goes fairly fast. With FREE addressing you can just pop a stamp on those invites and ship them off! I will let you decide for yourself if it is easier to buy or DIY wedding stationery. I considered DIYing my invites, but decided that having professionally printed invitations that look amazing was in my wedding budget. It saved me time to focus on other aspects of my wedding planning process. 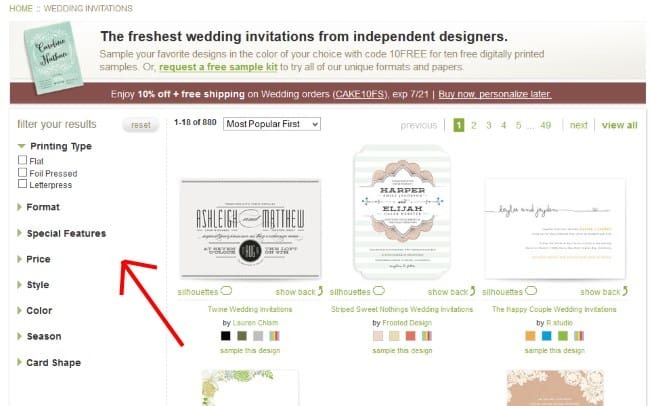 My experience using Minted.com for save-the-dates and wedding invitations was convenient and easy. Please let me know your wedding stationery adventures in the comment section below!